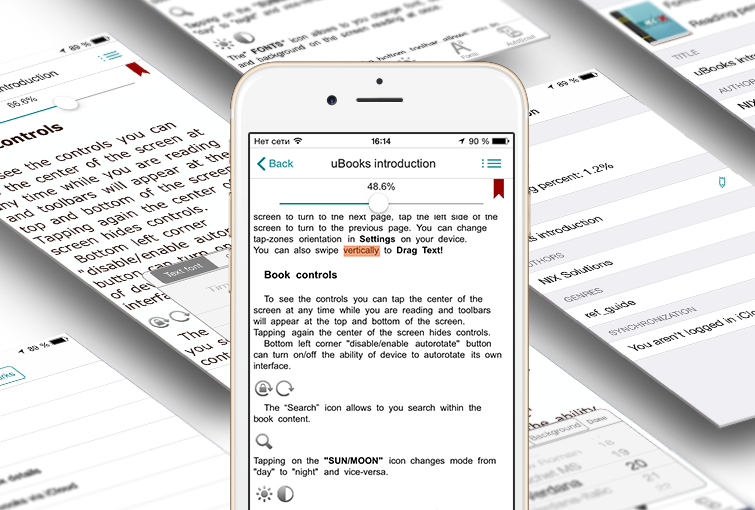 The uBooks reading application is very popular among users of iDevices. Its interface and functions let you maximize all reading options. But there is no limit to perfection. Apple users will be able to try out the new improved application version uBooks XL 3.0, which has been developed by specifically taking into account the users’ preferences. uBooks XL 3.0 now runs on iOS 7.0 or later versions, has minimalistic design and intuitive interface for i-users. 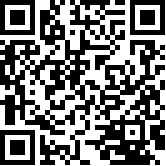 The app is multifunctional and easy to use. The new version has quite a few new functions, but also lost some old ones. The app now misses themes and various ways of page scrolling. There also is no way to turn on/off the status bar any longer. Let’s take a closer look at new functions set. While you still have the 2 modes (books and documents), the Bookshelf has changed in several ways. Scroll down to see the search bar. Documents in other formats (iWork, Images, RTF, HTML). With the uBooks app the user spends most of the time on the reading screen. We’ve done everything to make your reading comfortable. That is why we have overviewed all the features on this screen and included only the most essential ones in the function set. Let’s go over the changes at the top of the display. There is “Contents” button in the top right corner. It contains the list of chapters and bookmarks of the particular book. Tap on the bookmark sign in the reading mode to add a bookmark. It creates automatically and matches the percentage of pages read by that time. To delete the bookmark switch to the “Bookmarks” screen (swipe from left to right and the “Delete” button will appear). 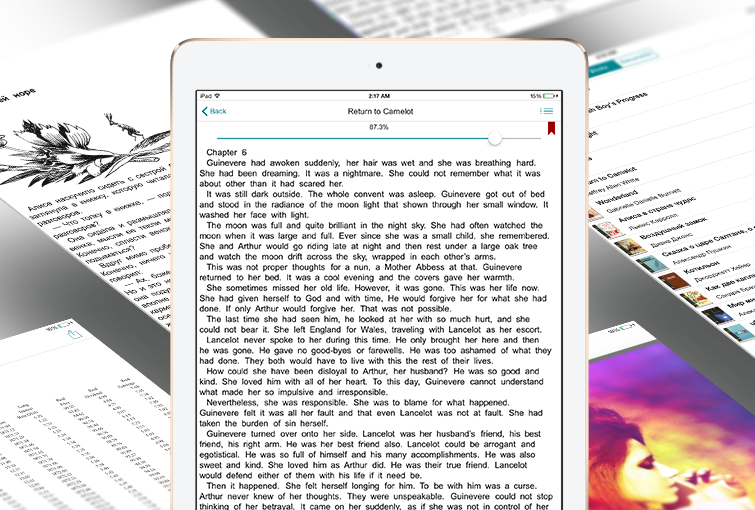 Tap the book title to look at the book info, which will include the format and percentage of pages read so far. “Font” button appears on the screen. You can change font family, its size and color, and also change the background right on the reading screen. Press the “Done” button to save all the changes. You can also change the font size by zooming using multi-touch gestures (pinch & spread). You can still download books using Wi-Fi, web browser, FTP client or iTunes. But we have something new for you! Now you can download books using OPDS catalogues (Open Publication Distribution System). You can also add catalogues, change their titles and links. Keep your progress reading, bookmarks and highlights up-to-date everywhere using iCloud. The new version of uBooks has 2 types of settings: major (located in device’s settings) and inner. Book animation – turning pages like in printed books . Switch “Book animation” on to use this option. All justification – to justify the text switch “All justification” on, otherwise it will be aligned left. Hyphenation – switch “Hyphenation” on to use this option. To turn pages comfortably, adjust the Tap Zones. If you are comfortable with using right and left margins to turn pages, choose the vertical Tap Zone. For top and bottom margins, use horizontal Tap Zone. Switching “Reverse” on will cause paging to go the opposite. For example, with horizontal Tap Zone mode on, tapping at the top will bring you to the next page, and tapping at the bottom will bring you to the previous one. Text display — To read and feel comfortable at any time of the day, you can switch from daytime to nighttime mode. You also can adjust the and change font type, size and color only for you. Choose background textures, line spacing, horizontal and vertical padding. Enjoy reading your favorite books! We have done our best to improve the product and make sure you are perfectly comfortable while using it. Text highlighting settings — Set transparency and color levels both for backlight and highlight area. New version of uBooks app is another step to make our products better. Enjoy reading with uBooks XL 3.0! We are always happy to see your comments and rating on Appstore. Follow our iPhone development team on @NixS_idev to get the latest app updates. Love this app. Very best ebook reader available by far. My one question/issue is: why can’t I open all documents as books? uBooks has two display modes: books and documents. Document formats are supported in Reduced Functionality Mode: the selections, highlighting and bookmarking features etc. are not available. Below you can see support formats as books and as documents. Does the app support epub 3 file format? How do I delete the books I have already added to the application? Swipe your finger left-to-right across the book you wish to delete on the bookshelf. Also you can delete it from iTunes if you have a device with iOS 4.0 or later version. Open iTunes. Go to the tab “Applications”. There you will find applications that let you add files to them. Choose uBooks app. A new window will open on the right. Select the desired file and click the Delete button. I love this app, but I have problem when i try to open some .epub files. App crash and after restart and trying to open the book again the message appear “this may cause unpredictable behavior”. When I open .eupb file in ubooks light there is no problem.